The interior is finished in teak and the light and airy salon features a dining table and settee area. 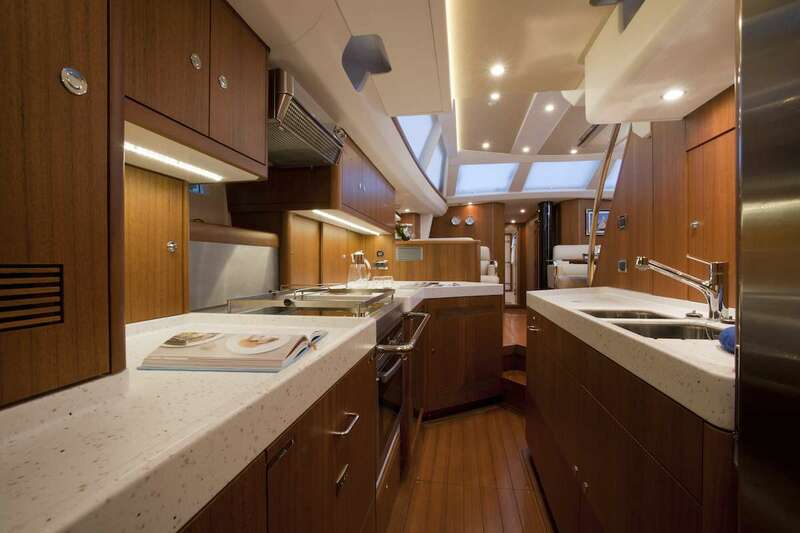 The vertical windows allow for abundant light with great views while at anchor. 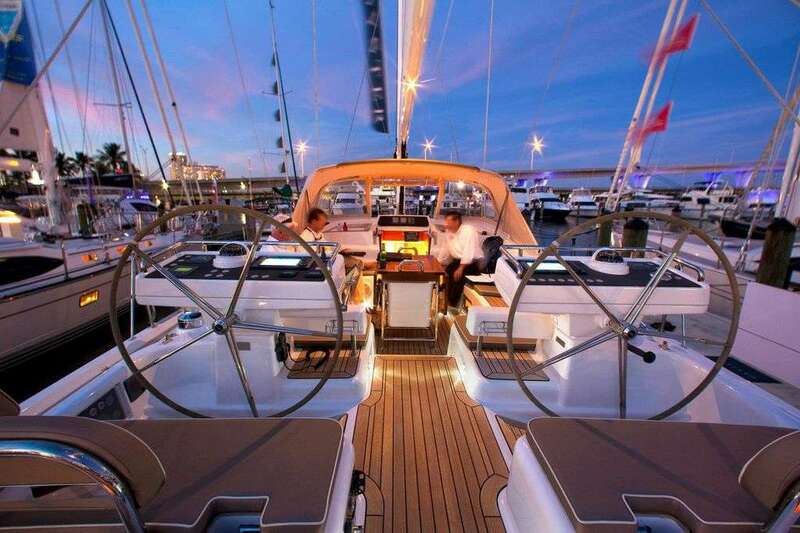 There are four cabins to accommodate four guests or up to six on request. 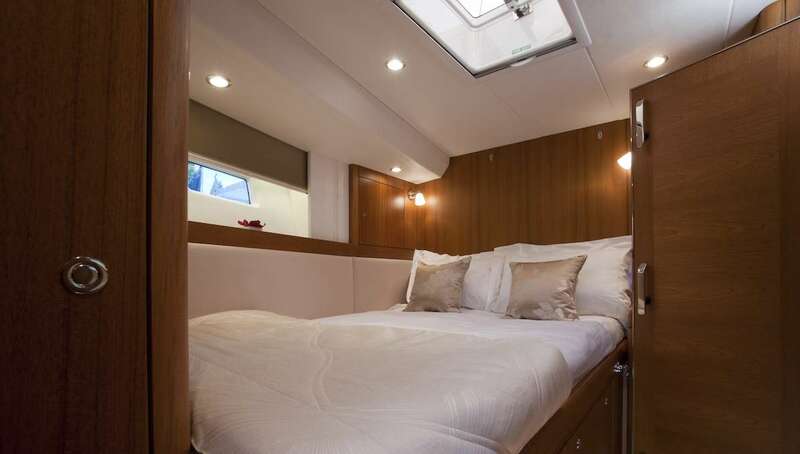 Aft is a spacious master cabin with en-suite heads and shower and a further childrens/guest cabin mid-ships with heads/shower access. Two forward cabins each have their own heads and shower. 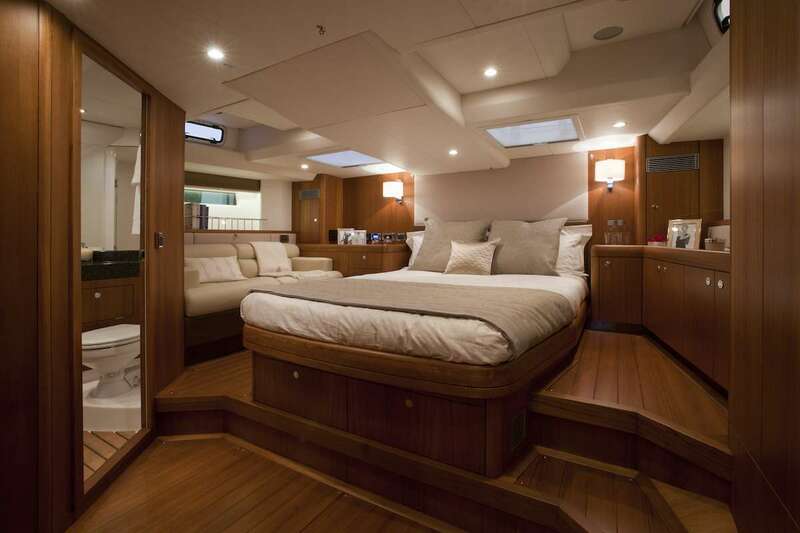 Crew will sleep in the port forward bunk cabin or double forward upon request. On deck she has a large safe cockpit which is further enhanced by a flat clear aft deck and forward sun-deck. 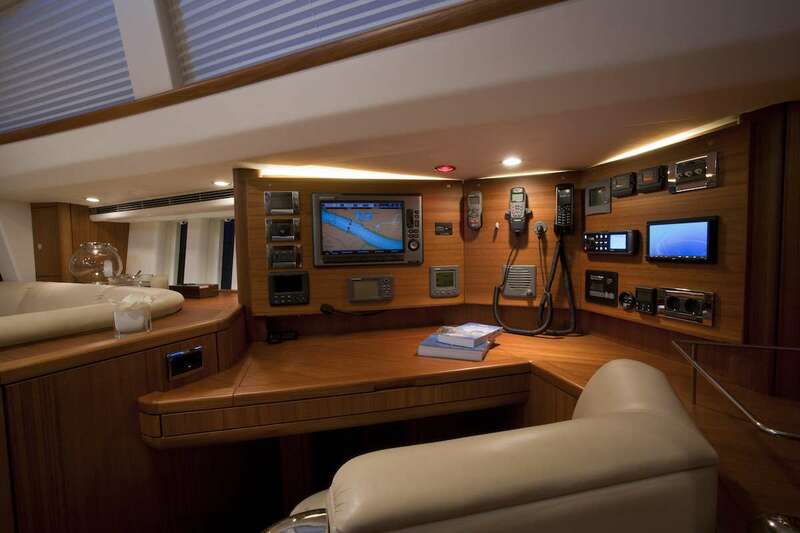 Perfect for relaxing in your own private anchorage. 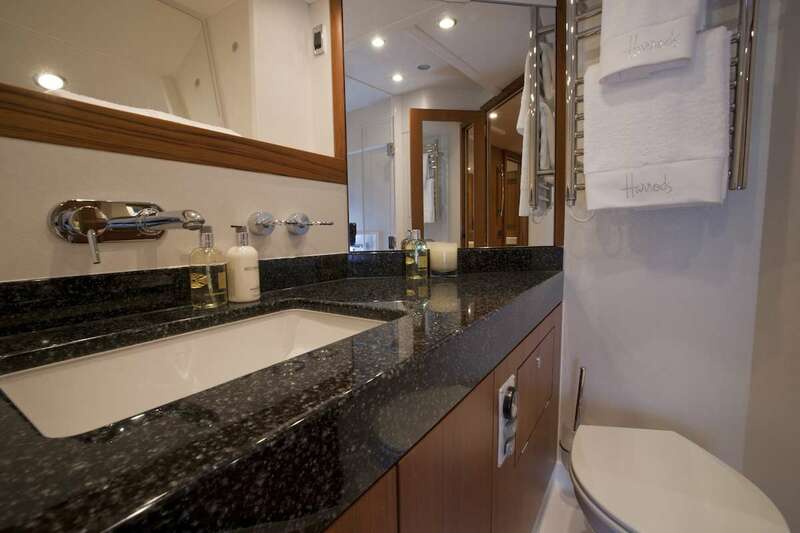 There are four cabins to accommodate four guests or up to six on request. 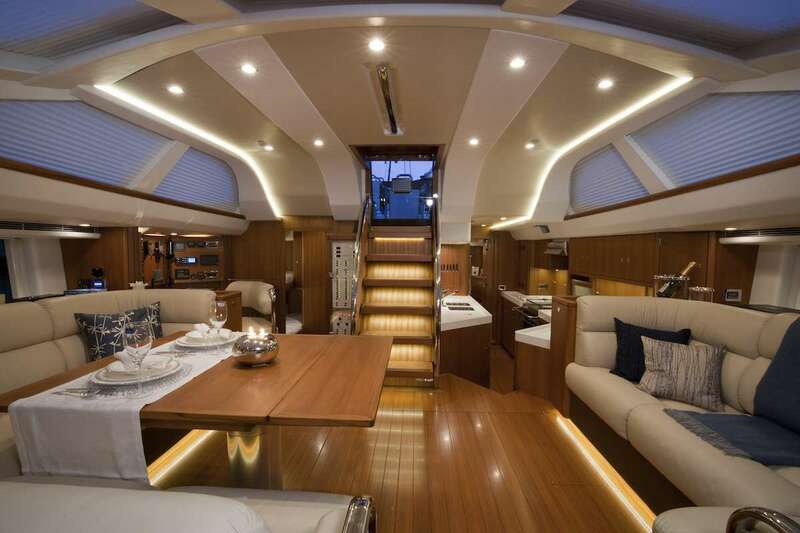 Aft is a spacious master cabin with en-suite heads and shower and a further childrens/guest cabin mid-ships with heads/shower access. Two forward cabins each have their own heads and shower. 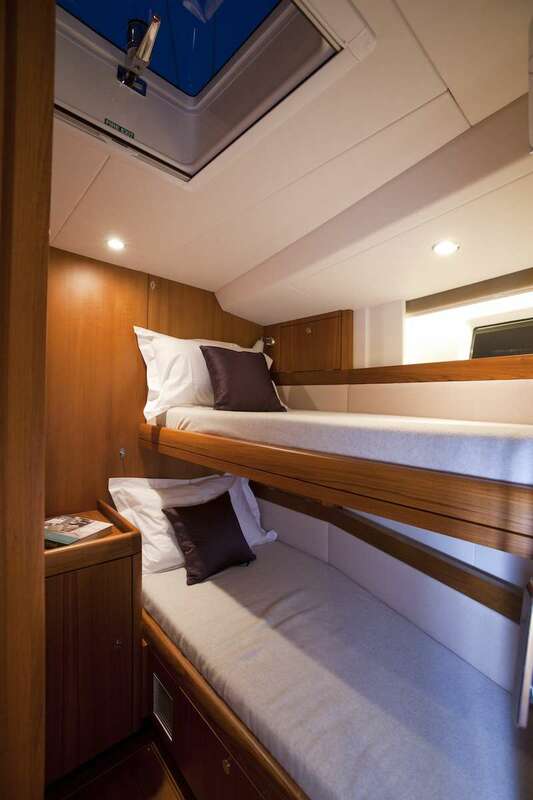 The crew will sleep in the port forward bunk cabin.